Any Kentucky RHS USDA loan that has not received conditional commitment from state Rural Development Offices in Lexington, KY by end of business on 9/30 will be subject to the 2.75% up-front guarantee fee increase. Bullitt County, Bullitt County Kentucky, first time buyer, Home, Hurstbourne Kentucky, Kentucky, Loan, Loan officer,louisville, Louisville Kentucky, Mortgage, Real Estate, Rural housing, United States, United States Department of Agriculture, USDA, zero down. Secretary Announces Refinancing Help for Rural USDA Home Loan Borrowers in Select States | The White House. 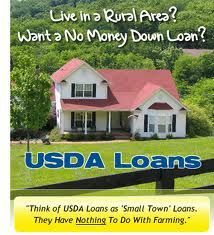 via Secretary Announces Refinancing Help for Rural USDA Home Loan Borrowers in Select States | The White House. Kentucky Mortgage Refinance Questions to ask: Kentucky Housing VA FHA KHC USDA and FNMA. via Kentucky Mortgage Refinance Questions to ask: Kentucky Housing VA FHA KHC USDA and FNMA.